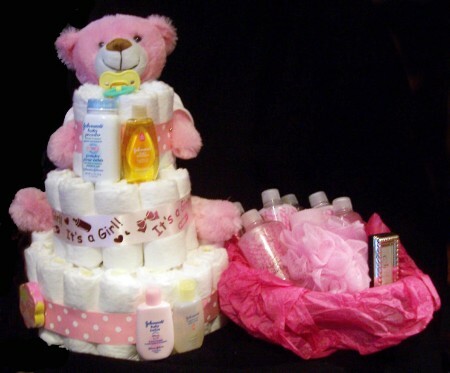 The Mommy & Me Gift Package is for the new bundle of joy and mommy. The cake is loaded with goodies that Mom can use on Mr. Young Entrepreneur or The New Diva. When mommy finds time for herself her gift basket is filled with goodies for her to relax. Yeah it’s not all about the babies.